Three men are due to appear in court next week over the alleged assault of a McDonald's employee at work. 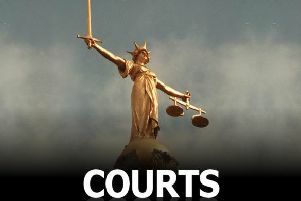 Simon Miller, 43, of Whitehall, Gosberton, Daniel Miller, 20, of Hill View Gardens in Morton and a 17-year-old male are set to appear in front of the magistrates in connection with the alleged incident. Simon Miller faces one count of assault.Daniel Miller faces one count of assault and one count under the public order act. The teenager, who cannot be named for legal reasons, faces three counts of assault, one count under the public order act and one count of criminal damage. They are due to appear before Boston Magistrates Court next Wednesday. The alleged incident happened at the fast food chain on Queen Street in Boston on August 7, 2018. Lincolnshire Police have said that the court date may be subject to change. A spokesperson said: "Three males, aged 17, 23 and 40, have been reported for summons in connection with this incident. "They are due to appear at Boston Magistrates’ Court on February 13."